RIDGID Model 180 Matador Vice. 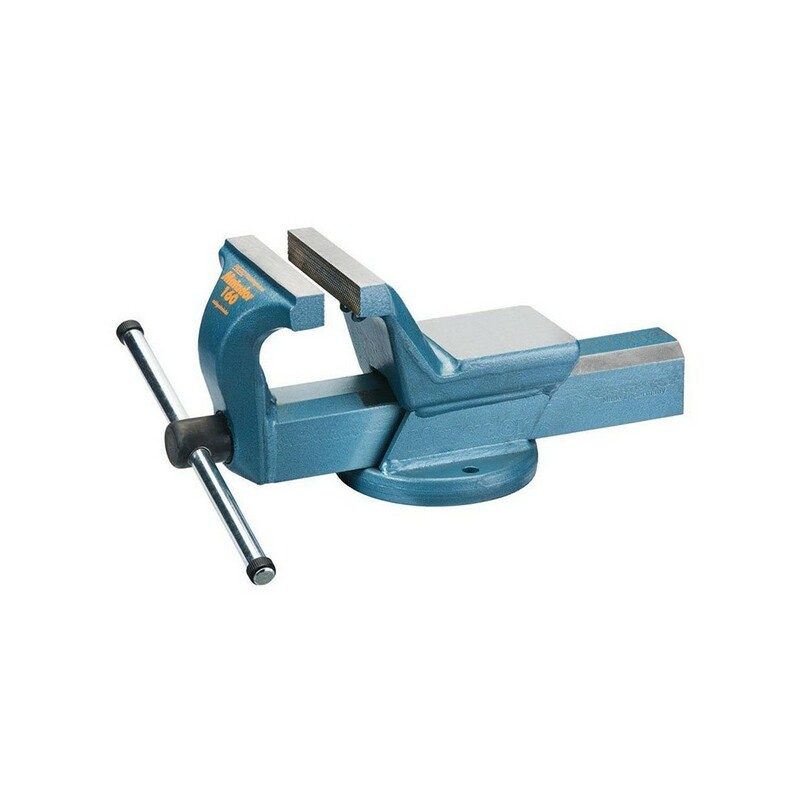 • Professional bench vice for the workshop. • These vices are known for quality and durability. Produced in Germany for over 100 years. • All forged steel construction 3 times stronger than cast iron. • Hardened and serrated jaws for maximum durability. • Large hardened anvil you can really use. • Machined and hardened sliding surfaces. • Rolled twin start Acme thread for precise operation and longevity. • Removable steel spindle nut.